View More In Figurines - Page 3. A glorious angel in flowing robes watches over the birth of Jesus, ready to proclaim the good news of the Savior's birth to everyone – from shepherds to kings. 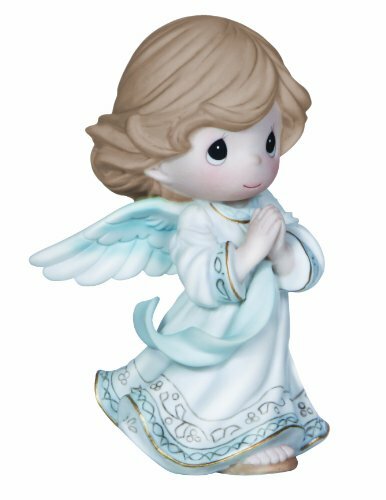 An important addition to your Precious Moments nativity, it can also be displayed year-round as a beautiful reminder of faith. Give this Christmas gift with other nativity pieces as a housewarming or holiday gift to someone who understands why we celebrate this joyful season. Sculpted of fine bisque porcelain and meticulously hand painted. Approximately 5 inches high.